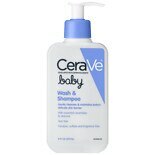 Shop CeraVe Baby Wash and Shampoo Tear Free with Essential Ceramides (8 oz. )8 oz. 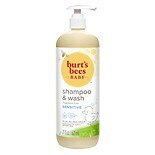 Shop Burt's Bees Baby Bee Shampoo & Wash (21 oz. )21 oz. $1499$14 and 99 cents$0.71 / oz. 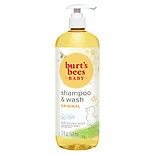 Shop Burt's Bees Baby Bee Shampoo & Wash Fragrance Free (21 oz. )21 oz. Shop Honest Shampoo/ Body Wash Dreamy Lavender (10 oz. )10 oz. $899$8 and 99 cents$0.90 / oz. Shop Honest Shampoo/ Body Wash Sweet Orange Vanilla (10 oz. )10 oz.